A Bipartisan Solution to the Student Loan Crisis: What if Betsy DeVos and Senator Elizabeth Warren Worked Together to Craft A Fix? At the conclusion of Betsy DeVos's Senate hearing last week, Senator Elizabeth Warren refused to shake DeVos's hand. If this is a sign of enmity between Senate Democrats and the Trump administration over education policy, this is a scary development for distressed student-loan debtors. Millions of borrowers are drowning in student loan debt--now pushing $1.4 trillion dollars. Eight million have defaulted, and millions more are teetering on the edge of default. Now is the time for Republicans and Democrats to work together. What if Secretary of Education DeVos and Senator Warren cooperated to solve the student loan crisis? Thinks what they could achieve. 1. During the first month of the Trump administration, Secretary of Education DeVos calls a press conference to announce that the federal government will stop garnishing Social Security checks of elderly student-loan defaulters. At the press conference, Secretary DeVos is flanked by several U.S. Senators, including Senators Warren, Bernie Sanders, and Lamar Alexander. Senator Warren announces she will introduce legislation barring the government from garnishing Social Security checks of student-loan defaulters. 2. Next, DeVos issues a directive to DOE bureaucrats, ordering them to speed up the process for processing so-called "Borrower Defense" claims by students who are trying to get their student loans discharged on the grounds that their colleges defrauded them. DOE responds quickly, and thousands of debtors who were scammed by shady for-profit colleges get their loans discharged. Warren and her Senate compadres issue press releases praising DeVos's action. 3. Shortly thereafter, DeVos tells reporters that she agrees with the Obama administration's stance on arbitration clauses in student enrollment documents. The for-profits routinely require their students to sign these clauses, which forces students to arbitrate their fraud claims in unfriendly forums. The Obama administration said it opposed these clauses but did not do anything to stop them from being used. DeVos says, as of the day of her announcement, DOE will not allow any for--profit college to participate in the student-loan program that forces students to sign coercive arbitration agreements. Senators Warren and Senate Democrats applaud DeVos's step. 4. In spring of 2017, Senator Warren holds Senate hearings on the student loan guaranty agencies, which rake in millions of dollars in fees from collecting student loans. Warren points out that four of these agencies have each amassed $1 billion in unrestricted assets, even though they are non-profit companies. She subpoenas the agencies' records and learns that the guaranty agencies' CEOs are paid millions in salaries and benefits for harassing destitute student borrowers. DeVos testifies at Warren's Senate hearing, pledging DOE will do what it can to rein in the debt collectors. DeVos makes good on her pledge by terminating its contract with Education Credit Management Corporation, perhaps the nation's most ruthless student-loan debt collector. 5. A bill passes Congress that disbands the student-loan guaranty agencies and abolishes all fees and penalties that have been applied to defaulted student loans over the past 20 years. President Trump signs the bill. 6. With bipartisan support and Trump's blessing, another bill is approved by Congress to amend the Bankruptcy Code to eliminate the restriction on discharging private student loans in bankruptcy. Trump signs these bipartisan student-loan reform bills and give the bill-signing pens to Senator Warren. Senator Warren then shakes Secretary DeVos's hand. What will it take for Senator Warren to shake Betsy DeVos's hand? Paul Crookston. Betsy DeVos Hearing Ends with Handshakes — Except from Elizabeth Warren. National Review, January 18, 2017. Almost all for-profit colleges require their students to sign arbitration agreements as a condition of enrollment. In essence, students who sign arbitration agreements give up their right to sue the college they attend, even if they believe they have been victims of fraud or deceptive business practices. Why do the for-profit colleges insist that students arbitrate their grievances instead of filing a lawsuit? Several reasons. First, most commentators agree that arbitration generally favors a corporate entity over a private party. Arbitrators make good money settling disputes, and they know they are likely to have future dealings with corporations such as for-profit colleges. Arbitrators do not want to get a reputation for being hard on for-profit colleges because they know that the for-profits will not choose them to arbitrate future disputes. Thus, their rulings may be more likely to favor a for-profit college over a humble student or at least to limit the amount of damages that might get awarded against a college engaged in wrongdoing. Second, arbitration usually takes place in a private setting, and arbitrators' decisions are generally not made public. If a for-profit college loses an arbitration case, other potential plaintiffs are not likely to find out about it. Finally, arbitration clauses generally preclude students from banding together and bringing class action suits against allegedly deceitful colleges, and these clauses often require student grievants to bring their arbitration disputes in a jurisdiction that favors the college. The Department of Education has signaled that it disfavors the for-profits' practice of forcing students to give up their right to sue as a condition of enrollment, and it says it will draft regulations that will limit this practice. But DOE has not acted yet, and courts have generally upheld the validity of arbitration agreements when those clauses have been challenged. But the courts may be changing their views. Recently, a California appellate court invalidated an arbitration clause signed by California students who had enrolled in a nursing program with an Indiana education provider. misrepresented the value of the school's ultrasound program and the quality of its instructors, instructed students on outdated equipment and with inadequate teaching materials, provided insufficient career-service counseling, and conveyed inaccurate information about Sanford brown's accreditation status. The students also claimed that Sanford Brown had "employed high-pressure and deceptive business tactics that resulted in plaintiffs financing their education with high-interest loans, passing up the study of ultrasound at a reputable college, and losing career advancement opportunities." Agreement to Arbitrate--Any disputes, claims, or controversies between the parties to this Enrollment Agreement arising out of or relating to (i) this Enrollment Agreement; (ii) the Student's recruitment, enrollment, attendance, or education; (iii) financial aid or career service assistance by SBI; (iv) any claim, no matter how described, pleaded or styled, relating in any manner, to any act or omission regarding the Student's relationship with SBI, it employees, or with externship sites or their employees; or (v) any objection to arbitrability or the existence, scope, validity, construction, or enforceability of this Arbitration Agreement shall be resolved pursuant to this paragraph . . . . Ultimately, the New Jersey Supreme Court ruled in the case, and the court invalidated Sanford Brown's arbitration clause. In the court's view, the clause was not "written in plain language that would be clear and understandable to the average consumer that she is giving up the right to pursue relief in a judicial forum" [internal quotation marks and citations omitted]. "In summary," the court concluded, "the arbitration provision and purported delegation clause in Sanford Brown's enrollment agreement failed to explain in some sufficiently broad way or otherwise that that arbitration was a substitute for having disputes and legal claims resolved before a judge or jury." Without some minimal knowledge of the meaning of arbitration, the court ruled, the complaining students could not give informed assent to arbitration and to waiving their right to seek relief in a court. The New Jersey Supreme Court's Morgan decision is a good decision for all students who have been wronged by a for-profit college. Following on the heels of a similar decision in California, the Morgan opinion drives another nail in the coffin of the for-profit college industry, which has protected itself from liability for deceptive and fraudulent practices by forcing their students to waive their right to sue. In New Jersey and California at least, students now have a better chance of getting their claims against allegedly deceptive for-profit colleges heard by a court. And if students are successful in their cases and obtain substantial judgments against the colleges that wronged them, some of these colleges will be forced to close. And that, in my opinion, would be a good development. U.S. Department of Education. U.S. Department of Education Takes Further Steps to Protect Students from Predatory Higher Education Institutions. March 11, 2016. Accessible at http://www.ed.gov/news/press-releases/us-department-education-takes-further-steps-protect-students-predatory-higher-education-institutions? On May 19th, Apollo Education Group, which owns University of Phoenix, announced that it is eliminating mandatory arbitration clauses in its student contracts. This is good news and is in harmony with the Department of Education's desire to do away with arbitration clauses in for-profit universities' student agreements. Arbitration clauses, as many commentators have noted, tend to favor corporate entities over individuals. Students who signed arbitration agreements can't sue the institution they attended in court even if they have a fraud claim. Arbitration clauses generally prohibit class action suits, which would be a useful way for a group of defrauded students to band together to get relief. And arbitration decisions are generally secret. Thus, even if a university loses an arbitration dispute with a student who was victimized, other injured students are unlikely to learn about it. Please forgive my cynicism about the for-profit industry, but here's my first reaction. When a for-profit college does the right thing, it's probably in trouble. And University of Phoenix is in big trouble. Enrollments are down by more than half from Phoenix's peak enrollments. Its stock price, once as high as $90 a share, is now selling for a little more than nine bucks. The key senior executives have negotiated a deal with three private equity groups to buy the Apollo Education Group and Phoenix, and all the big boys will get golden parachutes. The key player in the buyout partnership is Martin Nesbitt, literally Barack Obama's best friend. And the guy in charge (if the deal goes through) will be Tony Miller, former Deputy Secretary of Education in the Obama administration. Such a cozy arrangement. So what the heck--why not eliminate mandatory arbitration clauses now, especially since that is what the Department of Education wants the for-profits to do. But--as I've said before--DOE's push against mandatory arbitration clauses is tardy. President Obama has been in office seven and half years, and DOE is just now getting around to addressing this serious problem. And new rules will be going through a negotiated rulemaking process that the for-profit industry knows well. There is a very good chance that any new rule restricting mandatory arbitration clauses in student enrollment agreements will be watered down. Nevertheless, Apollo Education Group's announcement is a good start, and higher-education reformers should take heart. Not that there are any higher-education reformers. Just you and me; that's just about everybody. News Release. Apollo Education Group to Eliminate Mandatory Arbitration Clauses. May 19, 2016. Bernie is very popular with young voters. He out polled Hillary by almost 4 to 1 among the twenty-somethings in the New York Democratic primary, and he's done even better with young voters in other primaries. Young people sense almost instinctively that Hillary is just a political hack, and that Bernie has ideas that might really make their lives better. In fact, Bernie is the only presidential candidate to offer a realistic plan to address the student-loan crisis, which is crushing millions of Americans. Bernie's plan for a free college education at a public college is eminently sensible, and cheaper than what we are doing now, which is to loan $165 billion a year to college students and only get about half of it back. In contrast, Hillary's student-loan reform plan is to pump an additional $30 billion a year into the nation's bloated and corrupt higher education industry. That's Hillary's solution to every problem--let's shovel some money at it and make sure the insiders get most of the loot. And let's not forget that Hillary tweeted young voters last summer, asking them; "How does your student loan debt make you feel? Tell us in 3 emojis or less." Let's see if I can find three profane emojis to send her. And Cruz is no friend to student-loan debtors. He represented the lender in the famous Espinoza case, in which a bankrupt baggage handler argued that he should only be required to pay back the principal on his debt and should be relieved of the accrued interest. Espinoza's argument was very reasonable; after all it is the accrued interest and penalties that are crushing most distressed student-loan borrowers--not the amount they actually borrowed. But Cruz's client prevailed before the Supreme Court--a 9 to 0 decision against poor Mr. Espinoza. So if you are one of 20 million overwhelmed student-loan debtors, Bernie is the only game in town. Unfortunately, you and I know that Bernie's free-college plan will never be enacted, because too many political interests benefit from the status quo. 1) Let's force the for-profit colleges to stop making their students sign arbitration agreements that cut off students' right to sue for fraud. DOE Secretary John B. King favors regulations to stop colleges from putting arbitration clauses in their student contracts. Bernie could reasonably support King's efforts. 2) The government could require all loan servicers--including Educational Credit Management Corporation and Navient--to disclose the compensation packets for their senior executives and their debt collectors and to disclose on a public web site the amount they pay their lobbyists, the attorneys who hound student-loan debtors, and the recipients of all their campaign contributions. 3) The government could stop garnish Social Security checks of elderly college-loan borrowers who defaulted on their loans. This is a logical extension of the Obama administration's decision to forgive loans of disabled borrowers. I think if Bernie would add a just couple of additional features to his plan to solve the student-loan crisis, he would see an even bigger surge of support among young voters--maybe enough of a surge to assure a victory in California. And of course my ideas for appealing to young voters are open to any of the Presidential candidates: Hillary, Cruz, Kasich and Trump could take these ideas and run with them. But Bernie is the only presidential candidate who shows any interest in solving the student -loan crisis. How does Hillary's emoji on student loans make you feel? United Student Aid Funds, Inc. v. Espinosa, 130 S.Ct. 1367 (2010). Arbitration clauses in student-loan documents:the sad case of Sierra Roach v. Navient Solutions, Inc. In 2015, Sierra Roach sued Navient Solutions, Inc. for violations of the Telephone Consumer Protection Act and the Fair Credit Reporting Act. Navient had been pursuing Roach to collect on five student loans totaling almost $69,000--money that had been disbursed to Bowie State University, not Roach. Roach disputed the debt and claimed she was being repeatedly called by debt collectors. She also claimed that credit reporting bureaus were issuing inaccurate credit reports about her. Roach's defense to Navient's arbitration demand was that she had signed the promissory note with another entity, not Navient. But Navient presented evidence showing it had power to collect the debt, and a federal court granted Navient's arbitration demand in an order issued last December. Roach had some other claims against Navient, but she apparently submitted them late and inartfully. After all, she had sued Navient without an attorney and was unfamiliar with the niceties of practicing law. Some judges deal leniently with people who go to court without lawyers, but not Roach's judge. She had filed a "surreply memorandum," which the judge refused to consider, saying "sureplies are highly disfavored." Although it is not entirely clear, she also apparently argued that the arbitration clause buried in the promissory notes had not come to her attention and that she did not realize that she had waived her right to sue when she signed the promissory notes. The judge did not like this argument at all. In a footnote, he cited language from another decision that said: "[T]he fact that [plaintiff] may have chosen not not to access or read the language of the Arbitration Agreement does not render it invalid or non-binding." In short, the judge forced Roach to arbitrate her claims against Navient. Scholars and commentators largely agree that arbitration generally favors corporate parties. That's why banks, financial institutions, and student-loan lenders force people to sign arbitration clauses in routine documents. Like Ms. Roach, most people do not understand that they are signing away their right to sue for wrongdoing when they agree to arbitrate. 1) Many student-loan debtors are losing in the courts because they are not represented by competent lawyers. Roach's best argument for invalidating the arbitration clause was that it is an "adhesion contract" that she was forced to sign as a condition for getting federal loan money. Courts have ruled for fifty years or more that agreements waiving the right to sue can be nullified if the party signing the waiver is the weaker party with no opportunity to negotiate and no choice but to sign in order to receive a service. But Ms.Roach probably knew nothing about adhesion contracts. Distressed student-loan debtors ought to have access to pro bono (free) legal services. There are literally hundreds of thousands of unemployed lawyers right now--and most of them have massive student-loan debt themselves. Their talents should be harnessed to help people like Ms. Roach. 2) The fact that student-loan lenders and for-profit colleges are allowed to put arbitration clauses in student-loan documents and college-enrollment forms is a scandal. Secretary of Education John B. King announced recently that he opposes this practice and will draft regulations that will put some limits on it. But the regulation revision will go through a negotiations process, and any regulations DOE adopts are likely to be watered down. After all, the finance industry and the for-profit colleges have powerful lobbyists and sharp lawyers, and they make campaign contributions to powerful politicians. For now at least, millions of people are jeopardizing their financial futures when they borrow money to attend college. Even if they are defrauded or get substandard educational experiences, they are barred from filing suit. And if they file for bankruptcy to get a fresh start, the creditors' attorneys are waiting for them to make sure these distressed debtors get booted out of bankruptcy court. Roach v. Navient Solutions, Inc., 2015 WL 8479195 (D. Maryland, Dec. 10, 2015). In a March 11 press release, the Department of Education announced it is taking steps to protect students from predatory colleges. It's about time. The Obama administration has had seven years to clean up the for-profit college industry, and it has accomplished virtually nothing. Forced arbitration provisions used by many schools in their enrollment agreements – often buried in the fine print – effectively prevent students from seeking redress for harm caused by their school and hide wrongdoing from the Department and the public. Such agreements often bar students from bringing their legal claims in a group, making it financially impossible for individual students to challenge schools. Some agreements require disputes to be filed in secret tribunals where little or no records are kept; some prohibit students from speaking about the claims they file. The Department will discuss with negotiators how to end such outrageous practices. DOE also wants to "incorporate crucial elements of state consumer protection laws" in new regulations. This too is a good thing. But why did DOE wait so long? And why is DOE seeking to enact reforms through a "negotiated rulemaking process"? These reforms should be nonnegotiable. All for-profit colleges should be subject to state consumer-protection laws, and all for-profits should be barred from forcing students to sign arbitration clauses that protect the colleges from liability for fraud and wrongdoing. The next presidential election is eight months away. I predict nothing will get done regarding predatory for-profit colleges before Barack Obama leaves office. And we haven't hear a a peep out of Hillary about cracking down on this sleazy industry. No wonder young voters have rejected her. Help me, Obi Wan Kenobi. You're my only hope. Bernie Sanders beat Hillary Clinton in Michigan--stunning everybody, including Bernie. Bill O'Reilly scoffed, and pundits dismissed Bernie's victory as a blip; but change is in the wind. Bernie has the support of young people, and Hillary will never win them away. They are attracted to Bernie's clarity and straightforward message. In particular, Bernie's call for a free college education at a state college is very appealing. And--as I've written before--his free college plan is not wacky. It would actually be cheaper than the cumbersome student aid program we now have in place..
Now I encourage Bernie to reach out specifically to overburdened student-loan debtors--and there are 20 million of them. If he will make four simple promises to this weary and oppressed multitude, I think he will win over millions of voters to the Bernie Crusade. 1) If I am elected President, the federal government will stop garnishing Social Security checks of elderly student-loan defaulters. 2) If I am elected President, I will forbid the government and its debt collectors from slapping unreasonable fees and penalties on student-loan balances. 3) If I become president, student borrowers who complete long-term income-based repayment programs will not be taxed on any forgiven student-loan debt (a policy recommended by President Obama). 4) If I become your President, I will draft regulations forbidding for-profit colleges from requiring students to sign arbitration agreements that cut of their right to sue their college for fraud. None of these promises are radical, and none are expensive. And in fact, if all four of these promises were fulfilled by the next President, the impact on student-loan debtors would be minimal. But these promises would be a signal to oppressed student-loan borrowers that Bernie understands their suffering and will do what he can to give them some relief. But whether or not Bernie makes these particular promises, he has my unwavering support right through the election process. Of all the candidates vying for the Presidency, Bernie is the only one who will do something substantive to address the student-loan crisis. Indeed, as Princess Leia might have put it, Bernie is our only hope. Help me, Obi Wan Ka-Bernie. You're my only hope. Arbitration and For-Profit Colleges: Public Citizen, a consumer group, asks the Department of Education to bar for-profits from forcing students to arbitrate their fraud claims. What a good idea! Public Citizen, a consumer rights group, formally petitioned the U.S. Department of Education to cut off federal student-aid money to for-profit colleges that force their students to sign arbitration agreements that bar students from suing the colleges for fraud or misrepresentation or from filing class-action lawsuits. Julie Murray, spokesperson for the group, explained Public Citizen's position. "Taxpayers should not have to subsidize predatory schools that deny their students a day in court," Murray said in a press release. What a good idea! Everyone knows that thousands of low-income and minority students have been lured into enrolling at expensive for-profit colleges by misrepresentations and high-pressure recruiting tactics. 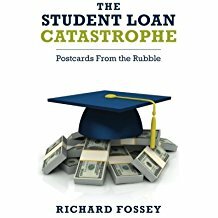 The for-profits have very high student-loan default rates, high dropout rates, and high percentages of students who are seeing their loan debt growing larger because they are forced into economic-hardship deferment programs due to the fact that their post-studies income is not high enough to pay off their student loans. In fact, as Stephen Burd pointed out in an Inside Higher Ed essay, a for-profit institution's shareholders can sue a for-profit college for misrepresenting job-placement figures while the students themselves cannot. Arbitration clauses always favor the for-profit industry because the for-profits pick the arbitration company, which gives the arbitrators an incentive to rule in favor of the colleges or at least to go easy on them in order to get "repeat business." Discovery is often limited in arbitration proceedings, and arbitration can be expensive, since the student must bear part of the arbitrator's cost. Congress should eliminate this injustice by barring colleges that participate in the federal student aid program from including binding arbitration clauses in enrollment agreements, just as Senators Tom Harkin of Iowa and Al Franken of Minnesota proposed . . . . As [the senators] wrote, "Colleges and universities should not be able to insulate themselves from liability by forcing students to preemptively give up their right to be protected by our nation's laws. Student-loan debtors--and there are 42 million of you--should ask presidential candidates if they are willing to cut off federal student-aid funding to for-profit colleges that force their students to sign arbitration agreements. What would Hillary's answer be? Donald Trump's? Bernie Sanders?